Adlai E. Stevenson High School sociology teacher Chris Salituro is always teaching his students to be aware of their sociological mindfulness. This concept teaches students to be in tuned in to the present moment and allows them to recognize that they are each a crucial participant in society. He teaches his students in Lincolnshire that every act has an effect on others – that it is important to have an awareness of all of the people around you. In order to have his students experience their own sense of sociological mindfulness, he has his students participate in community service and blog about their experience. In 2012, Salituro saw an advertisement about the Special Olympics Illinois Northeastern/Area 13 office opening in Lincolnshire. He thought that volunteering through Special Olympics Illinois would be a great opportunity for his students. For the past three years, he has brought more than 80 students to volunteer at the Bocce Tournament at Barrington High School. His students were given the opportunity to help set up the tournament, score the athletes and present awards. Salituro has been such a huge advocate for Special Olympics Illinois within Stevenson High School that the Bocce Tournament will be he held at Stevenson this year, allowing even more students the opportunity to get involved. Salituro’s involvement with Special Olympics Illinois does not stop with the Bocce Tournament. For the past three years, he has organized a Polar Plunge team of sociology students to participate in Area 13’s Polar Plunge Cool School Challenge. The Polar Plunge, presented by Law Enforcement Torch Run and GEICO, is a unique opportunity to support Special Olympics athletes by taking a flying leap – a leap into the frigid waters of Fox Lake. Participants must raise $75 in donations from friends, family and co-workers in exchange for jumping into the icy waters. Many students in the area have gotten involved in the Fox Lake Polar Plunge through the Cool School Challenge – a friendly competition between local schools. 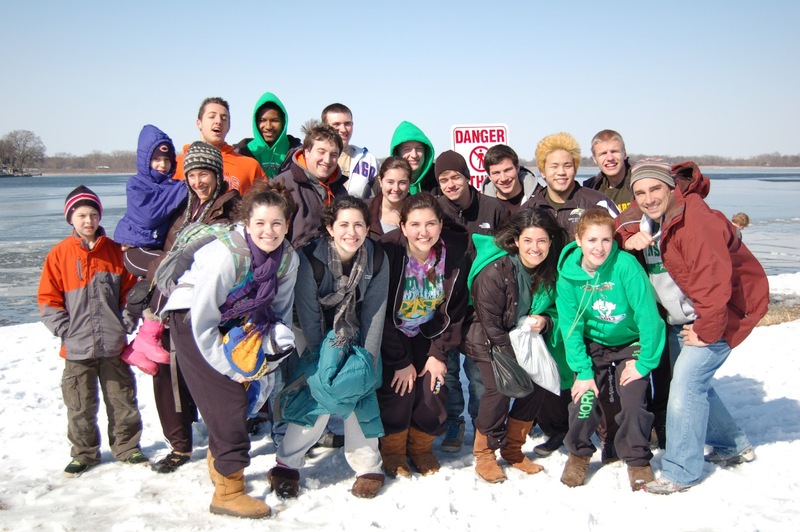 Back in 2012, Adlai E. Stevenson High School won the Cool School Challenge trophy and Salituro plans to bring back the trophy again this year for the event to get his students excited for the Plunge. He has already gathered a team that is ready and brave to take the Plunge and bring home the Cool School Challenge trophy on Feb. 22 in Fox Lake. Brave participants can still sign up for the Fox Lake Polar Plunge. To register or support a Plunger, please visit www.plungeillinois.com.